EDF’s Climate Talks blog keeps you updated on major international climate issues. We provide thoughtful analysis on international climate negotiations and important climate policy developments around the world, so you can stay informed. 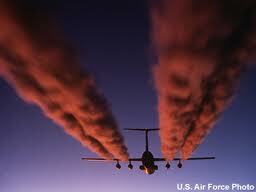 However, we know you may have a broad interest in environmental issues. 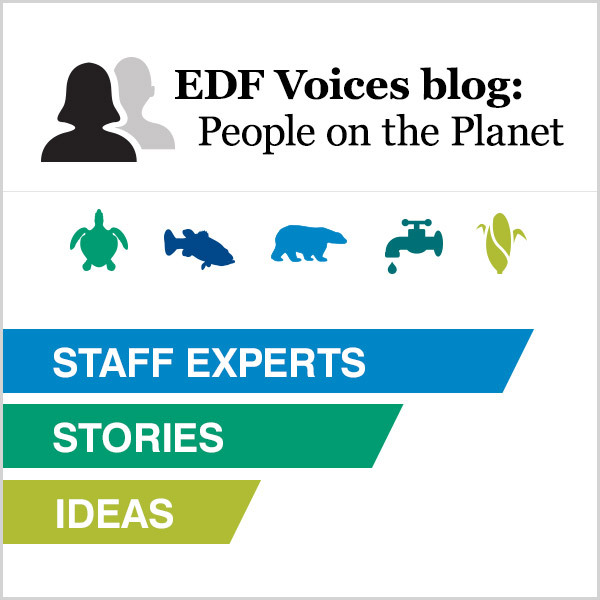 That’s why we wanted to share with you Environmental Defense Fund’s new flagship blog, EDF Voices. EDF Voices collects stories, ideas and arguments from all of our EDF expert voices in one place. Our thought leaders use this space to weigh in on all sorts of environmental issues, from stories on how farmers in India are adapting to climate change to ideas on how to save the Amazon and its indigenous peoples. Environmental Defense Fund joined dozens of organizations today in calling for newly confirmed U.S. Secretary of State John Kerry to “spur bold and immediate action” on climate change. Climate change threatens our planet, our security, the health of our families, and the fate of communities and nations throughout the world. It is the greatest challenge of our time and our response will leave an historic legacy here in the U.S. and abroad. play a critical role in reducing climate change, promoting global stability and human security, creating economic opportunities for U.S. businesses and workers, helping to alleviate global poverty, protecting past U.S. development investments, complementing global health and food security efforts, protecting critical forest areas and biodiversity, ensuring significant cost-savings through disaster preparedness measures, and better enabling the United States to achieve its other diplomatic and national security objectives. For more information, you can read the full letter to Secretary Kerry and see the statement from EDF President Fred Krupp on Secretary Kerry in advance of his confirmation last week. Senator Kerry is a superbly qualified public servant who will bring to his new post a deep understanding of issues at the confluence of international diplomacy, national security, economic growth and environmental protection, along with a demonstrated willingness to lead on climate change — the signal environmental challenge of our time. President Obama’s decision to put climate change at the heart of his second-term opens the prospect for Secretary Kerry to push for real and measurable progress on climate change in a range of bilateral and multilateral forums. We look forward to the opportunity to work with Secretary Kerry and his team as they redouble America’s commitment to diplomatic leadership in confronting the climate challenge. The largest international climate negotiations of the year kicked off Monday in Doha, Qatar, drawing delegates from more than 190 countries in a grand effort to create a global treaty to reduce greenhouse gas emissions and halt climate change. Worldwide attention is particularly focused on climate after a number of respected and typically conservative global institutions — including The World Bank, United Nations Environment Program, International Energy Agency, PwC — in reports released in the weeks leading up to Doha painted grim pictures of the risks of extreme climate change. 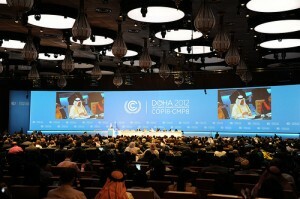 The countries now meeting in Doha are scheduled to finalize a second round of commitments under the Kyoto Protocol, the international agreement to cut greenhouse gases, and wrap up the Long-term Cooperative Action (LCA) negotiating track, which was launched in Bali in 2007 and led many countries to make voluntary emission reduction pledges but fell short of a comprehensive binding agreement. Doha will also set the course for the “Durban Platform for Enhanced Action” track, whose goal is a new climate deal for all countries to be agreed to by 2015 and to take effect from 2020. Countries can make real progress in Doha by agreeing to the Kyoto Protocol’s second commitment period with minimal fuss and delay, and concluding the Long-term Cooperative Action track, so they can turn their full attention to bringing lessons learned and key policy tools from those agreements forward into the new negotiations. Even the U.S. founding fathers didn’t get the Constitution right the first time – remember the Articles of Confederation? Countries, in constructing this new agreement, have a chance to incorporate the key elements of these tracks: Kyoto’s binding structure and accountability, and the LCA’s broadened participation among countries and new tools to fight climate change. Countries in Doha should deliver clear signals of ambitious commitment to address climate change, a much-needed policy signal that will help unlock and target critical climate finance funds that exist right now in the stock and bond markets and in countries’ national public expenditures. For policies for Reducing Emissions from Deforestation and forest Degradation (REDD+), countries have the opportunity to agree that multiple sources of finance can be used to pay for REDD+ reductions, and thereby send another positive signal to tropical forest nations. REDD+ is almost at the finish line. We need a decision with more direction about how it will be financed, and carbon markets must play a role. Europe’s Emissions Trading System, which has achieved significant emissions reductions at minimal cost, is about to transition to its third phase. Here in the United States, California begins its state-wide cap-and-trade system on January 1, and the northeastern states’ regional cap-and-trade system (RGGI) is already cutting emissions while the regional per capita GDP is growing faster than that of the nation as a whole. And a new report shows that the U.S. is on track to reduce its emissions by more than 16 percent from 2005 levels by 2020, thanks in part to these states’ initiatives. 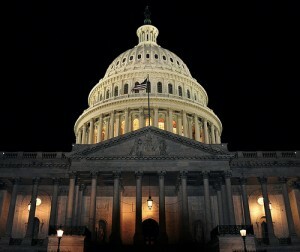 The U.S. House of Representatives tonight passed a bill that authorizes the Secretary of Transportation to prohibit airlines from participating in the European Union’s anti-pollution law. EDF called the bill superfluous — the EU yesterday paused its carbon pollution law that was the target of the U.S. bill — and warned it sets a bad precedent for U.S. foreign relations. The EU paused its law following the International Civil Aviation Organization’s (ICAO) setting in motion a high-level political process aimed at agreeing on a global program for cutting aviation carbon pollution by October 2013. Now that ICAO has moved into high gear its effort to get a global system for limiting aviation’s carbon pollution, and the EU has stopped its clock pending the ICAO outcome, at best this bill is simply superfluous. At worst, it undermines the respect that nations need to have for each other’s laws in a globalizing world. President Obama signaled in his reelection acceptance speech that there is an opportunity for revitalized executive branch leadership on the challenge of climate change. The aviation question, one of the first climate issues after the elections, puts the spotlight on the White House, which will need to put significant political muscle into helping ICAO reach agreement on a worldwide approach to address aircraft emissions. The airlines who lobbied so hard for enactment of this bill should join with environmentalists in agreeing on that global approach. The European Union Emissions Trading Scheme Prohibition Act of 2011 gives the Secretary of Transportation authority to prohibit U.S. airlines from complying with a European law requiring airplanes that land or take off from European airports to account for and limit their flights’ global warming pollution through an emissions trading system. The bill also requires the Secretary of Transportation to hold the airlines “harmless” of any costs, including both the costs of complying with the European law, estimated to be trivial, and the costs of not complying. The “hold harmless” provisions could launch a wholly unnecessary trade war and stick U.S. taxpayers with up to $22 billion in non-compliance costs. Petsonk has long been predicting ICAO would be confronted with the decision, likening the process to past global environmental law cases that began with bilateral bickering but eventually spawned a global dialogue. That means the U.S. should not yet be patting itself on the back about forcing the EU’s hand. Aviation is already the world’s seventh largest polluter, and if emissions from the industry are left unregulated, they’re expected to quadruple by 2050.